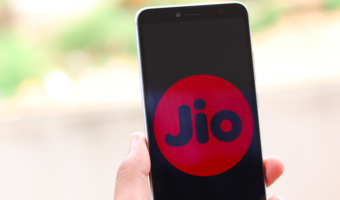 Bharti Airtel today announced the launch of 3G Mobile and Data services in north India’s summer capital – Shimla in Himachal Pradesh circle. Airtel 3G services launched in Shimla today by flagging off Airtel 3G mobike rally in the city. Aimed at empowering customers in Shimla with the ability to get a first-hand experience of the exciting capabilities that 3G services can deliver. The operator also set up five Airtel 3G experience zones at major locations in the city. 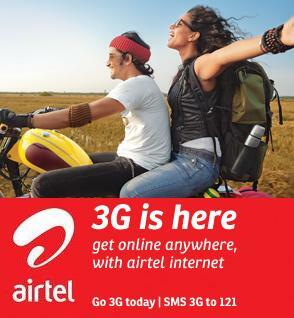 To activate the 3G service on Airtel subscribers need to send a SMS 3G to 121. After sending the SMS the confirmation SMS will come and 2G Data Plan will be de-activated. After the confirmation by subscriber 3G Data Plan “Pay As You Go” will be activated and all data access will be charged at 30p / 20kb. Subscriber can opt any 3G Data Plan starting from Rs.9 onwards as their needs and suitability. 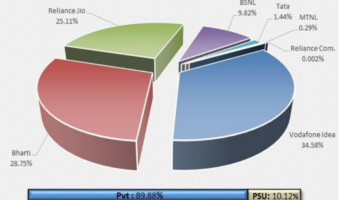 The 3G local, STD and Roaming Video Call cost will be 5 paisa/sec. Speaking on the launch of 3G services in Himachal Pradesh, Mr. Shashi Arora, CEO- Upper North, Mobile Services, Bharti Airtel said, “Having successfully launched Airtel 3G services in 45 cities across India, today we have over 3 million customers who are enjoying the Airtel 3G advantage. As we extend the promise of Airtel 3G services to Shimla, we invite our mobile customers in the Queen of Hills to leverage the power of high speed internet and a host of innovative application capabilities on their mobile devices – anywhere, anytime.